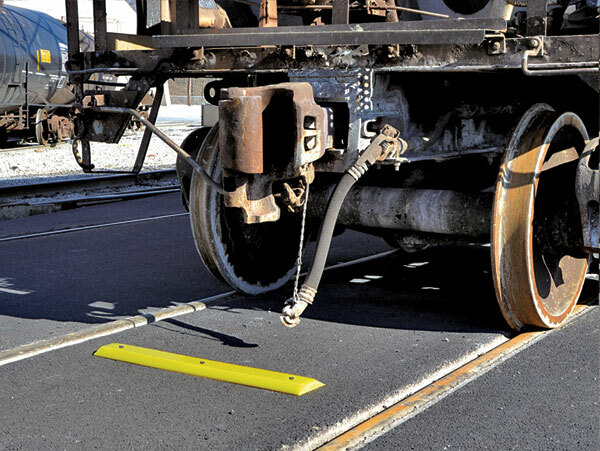 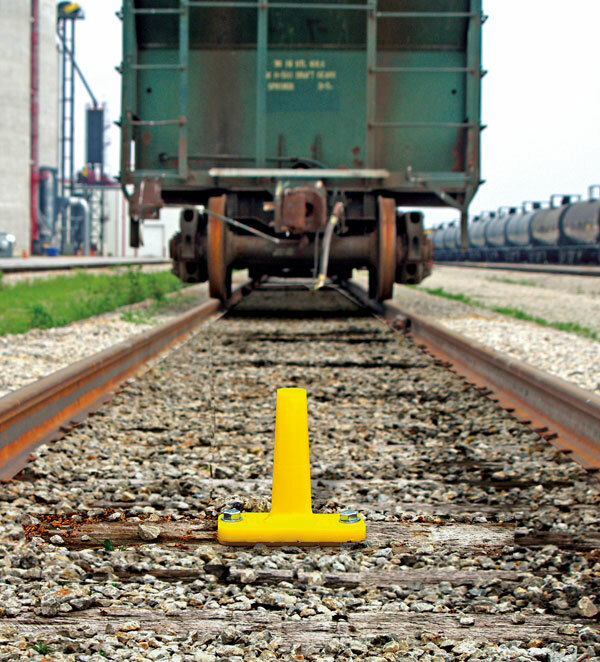 Aldon's permanent, highly visible and all-weather Track Clearance Marker tells switching crews how far they can shove a car without "fouling" converging tracks. 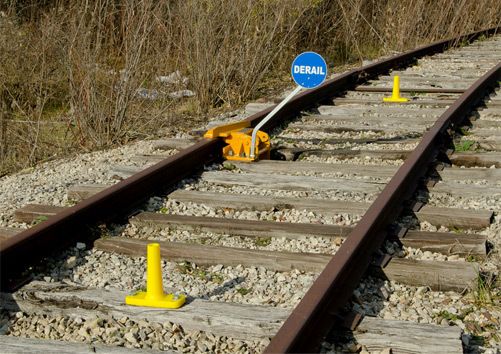 Left uncorrected, a fouled track will cause a collision with a passing train. 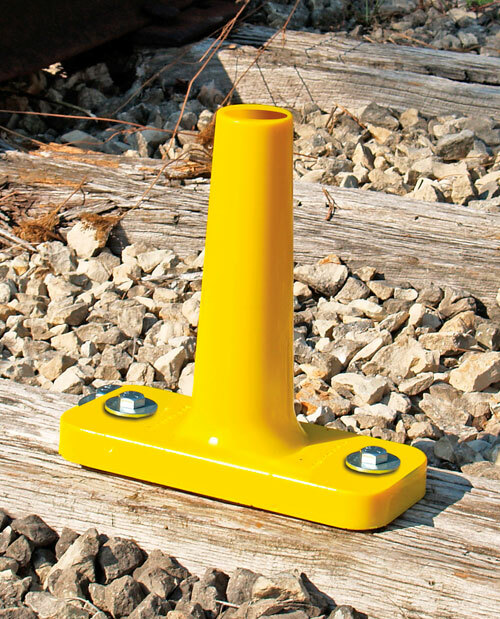 Screw spikes and washers included. 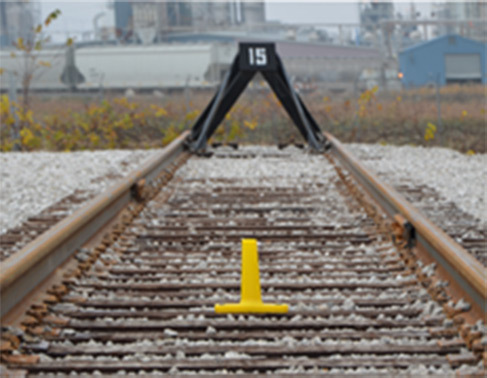 Weight 5 lbs. 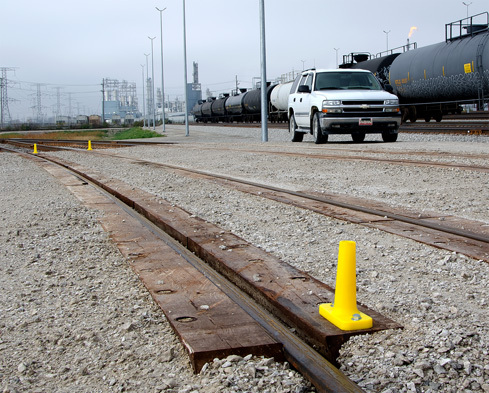 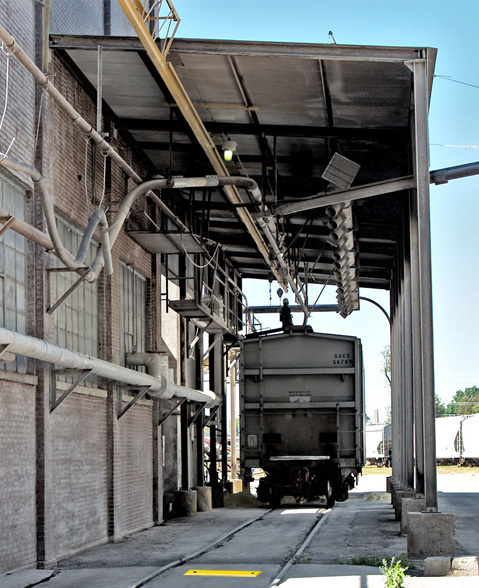 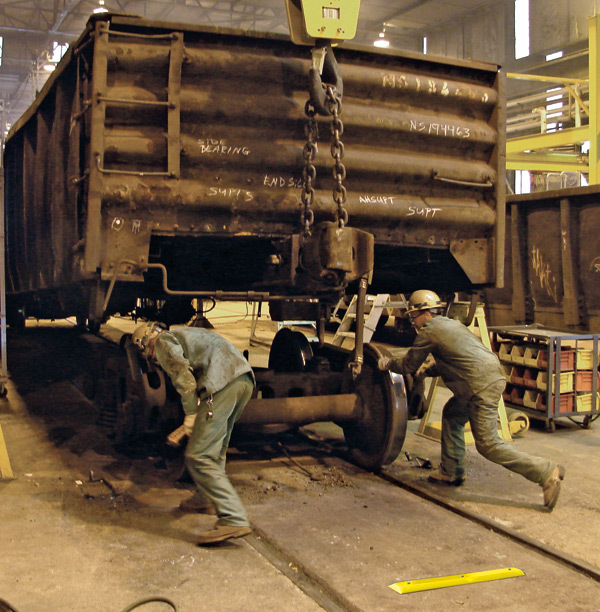 Each railroad shall implement procedures that enable employees to identify clearance points and means to identify locations where clearance points will not permit a person to safely ride on the side of a car." 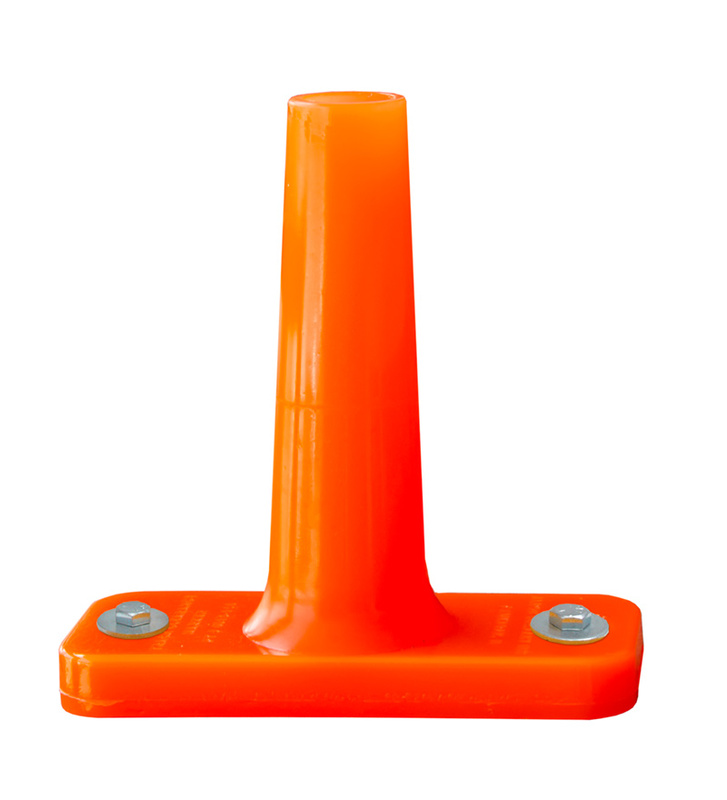 Protect bumping posts and car stops.